I love researching herbs and natural remedies. I have been in love with Elderberries for the past two winters. They have gotten my family and I through countless colds, and I am pretty sure I had the flu once last year. Now, I say pretty sure because I had just started working at my local elementary school as a teacher’s assistant. I had never had such a severe cold. I had already been taking elderberry syrup daily and I am sure that if I hadn’t been taking it, I would have been out for the count. Body aches, cough, sinus pressure, runny nose, you name it, I felt it. I remember laying in bed one morning during my second week of school. I was miserable. My husband said “Are you going to work today?” I whispered through the phlegm “I don’t know”. He laughed “You haven’t worked in years and you can’t handle two weeks. hahahaha”. Well, of course I went to work just to prove him wrong! Thanks for the motivation, Honey. I give credit to Elderberries for making it happen. The teachers had warned me that I would be sick for “like the first two years” of teaching but they also reassured me that after that my immune system would be “amazing”. Sure enough, I have had some kind of sickness almost every month I have worked at the school. My most recent sickness has lasted about 3 weeks. It started as an allergic reaction to an air freshener in the school but that quickly turned into a sinus infection and an upper respiratory infection. I’ll admit, I don’t take elderberry syrup during the “healthy” months (summer break) and I hadn’t been taking it when I became ill this last time. That’s when you start having issues; when you hang out with masses of people, especially kids, and you aren’t faithful to The Elderberries. It never fails. But of course I keep doing it. So, once I was desperate, I ordered a bulk order of Elderberries. And I cried to Mother Nature “I will not betray you again!”. The problem I have with Elderberry Syrup is that you have to keep it refrigerated. That sounds silly, but when you are working with kids, you don’t have time to go to the bathroom, let alone, run to the break room and take a dose of ES. So, sure, I could carry my ES in my lunch bag but believe me, the looks and questions you get from the kids when you take a dose of ES, is enough to make you not want to do it, but the stories you imagine the kids telling their parents will make you sweat. 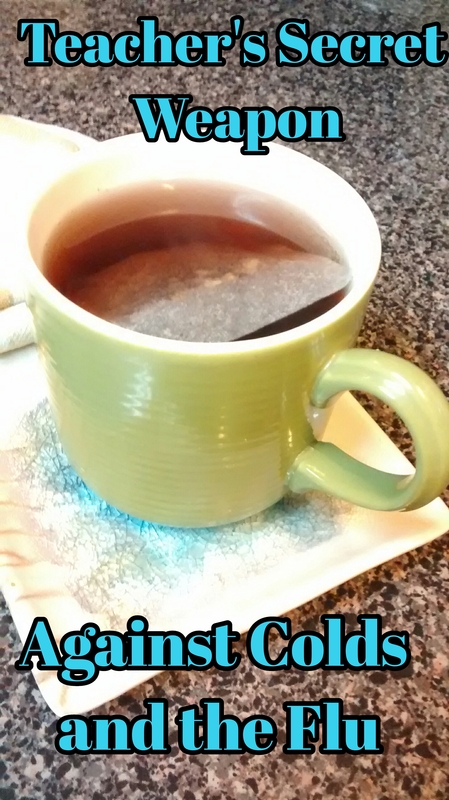 I came up with a solution, Elderberry Tea. I can make a cup of tea in my travel mug before I leave for school, and I can make a cup of tea during my lunch break. I started by using the same ingredients in my Elderberry Syrup Kit but I realized that the Elderberry dosage was wrong when comparing full strength berries and diluted syrup. I created a great concoction that I call Immuniberry , it includes the proper berry dosage combined with a wonderful Echinacea root blend. I tell you what, I had my first cup last night and I felt better this morning than I have the past two weeks. I am so excited about this tea. It is easy for me to take on the go. I can also toss a bag in a bottle of water as a cold tea during the summer months. I promised Mother Nature I would never betray her again, and now I have no excuse to not keep that promise. Here is a fantastic article about why Elderberries are so fantastic. As always, do your own research and find the best solution for yourself. Yes! Its true! 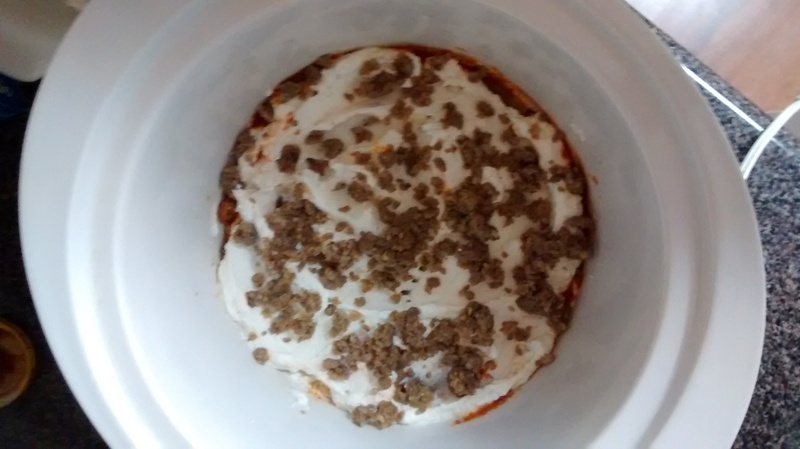 You can make lasagna in a Crock Pot! I think it tastes even better than cooking it in the oven! 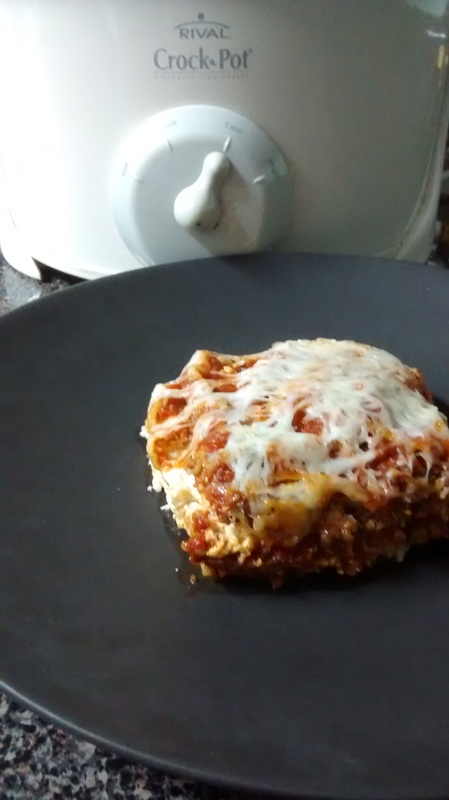 It may not be as pretty as traditional lasagna but the benefits out way that one negative. Mix egg into ricotta (optional). 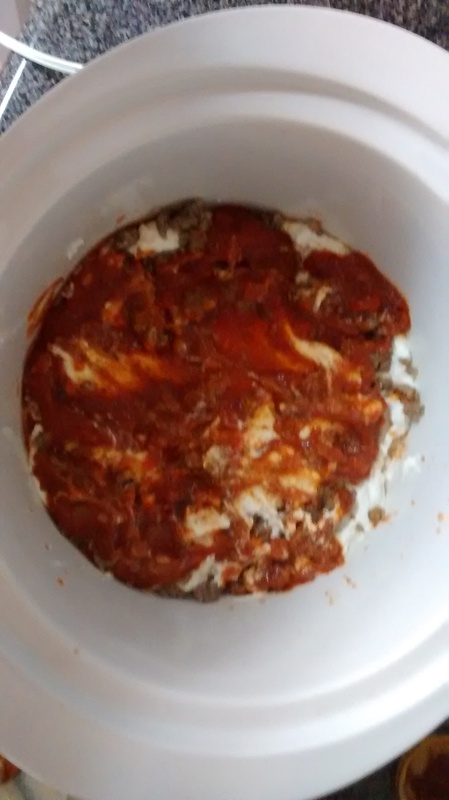 Start with a thin layer of pasta sauce in the bottom of your crock pot. You just need to cover the bottom so the noodles won’t stick. 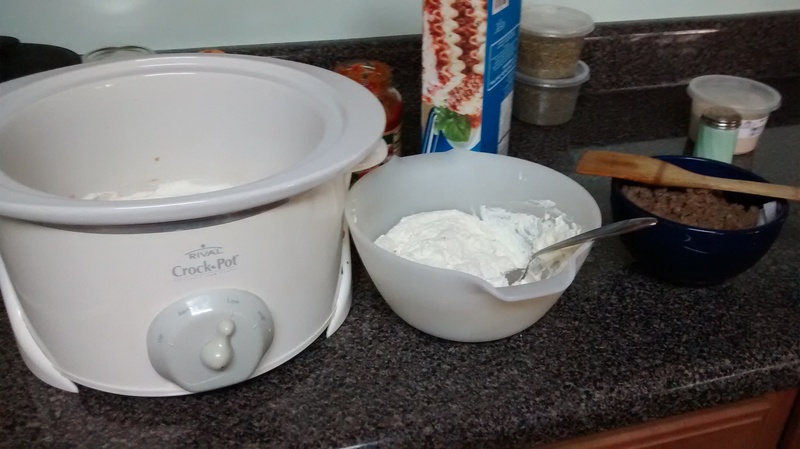 Break your noodles to fit inside the crock pot. It doesn’t have to be pretty. Now add a layer of ricotta on top of the noodles. Then a layer of sausage. Then a layer of pasta sauce. Start a new layer of noodles and repeat the layering process. End with a layer of pasta sauce. 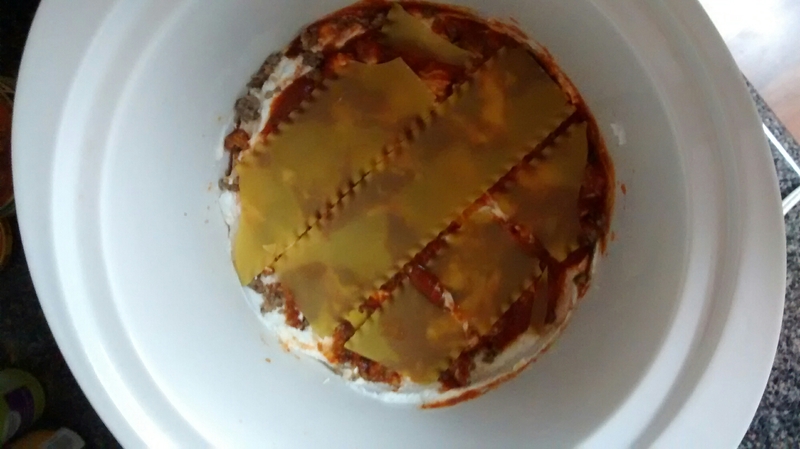 Sprinkle shredded mozzarella to the top of the lasagna. Once cheese has melted it is ready to serve. Its so easy, really. You can modify it however you like; add veggies, cottage cheese, or make it meatless. It really is so versatile. Just try to keep the addition of moisture low. If you are adding something moist like veggies, I would add the optional egg to the ricotta. 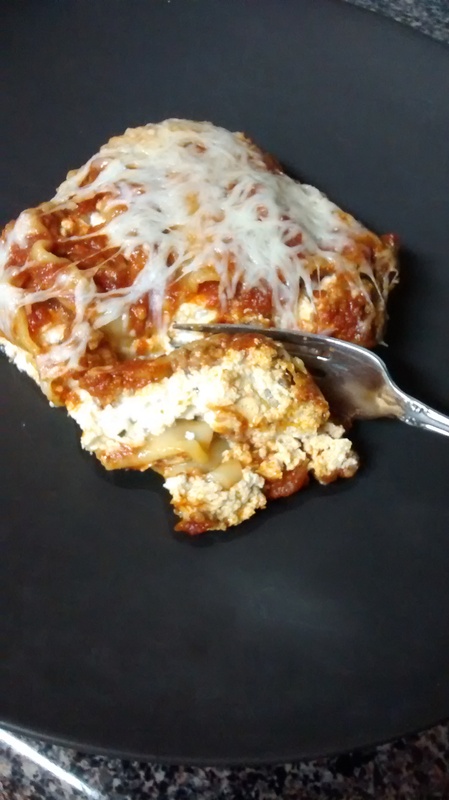 You could even add 2 eggs if you like a nice thick lasagna. 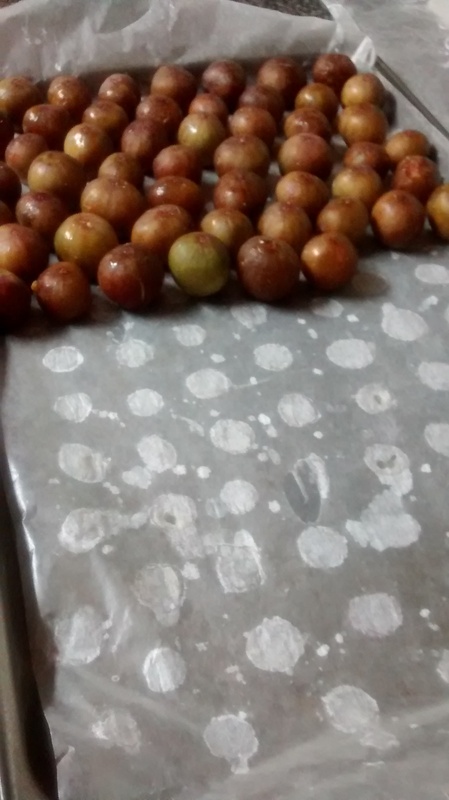 Place sheet of wax paper on cookie sheet. 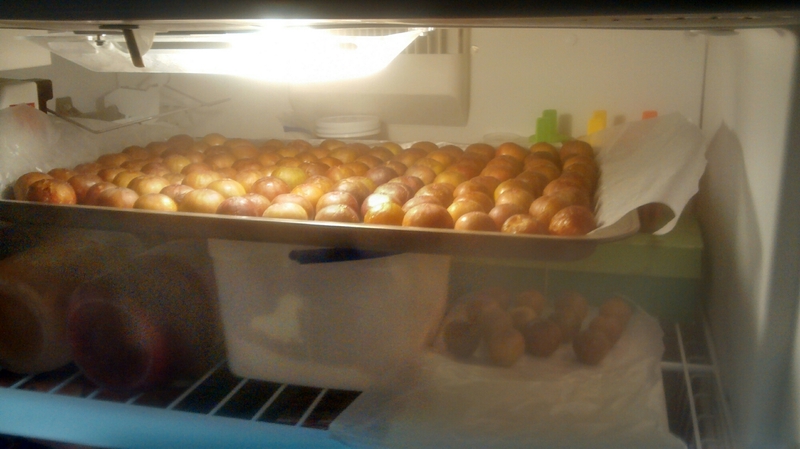 Set figs, cut side down, onto wax paper covered cookie sheet. Sit the cookie sheet in the freezer so its level. 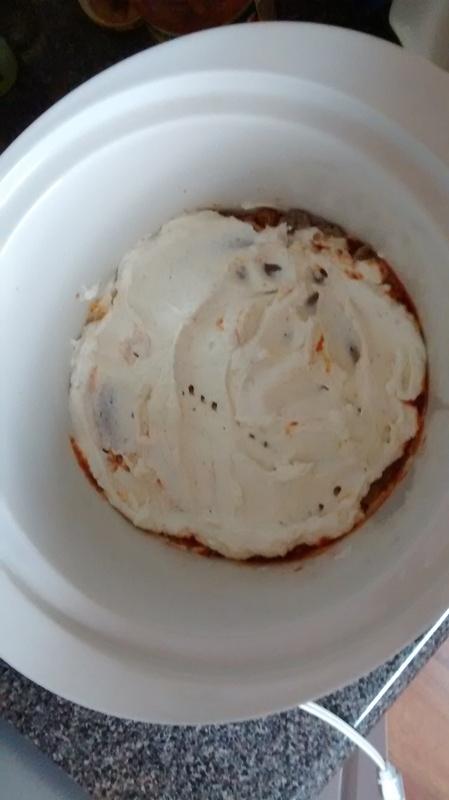 Allow to freeze for at least 2 hours. The figs should be rock hard. 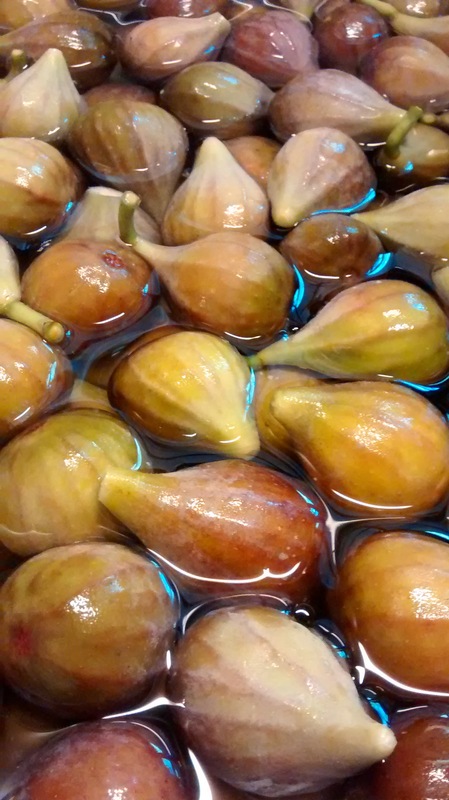 Remove figs from wax paper and store in freezer bags. 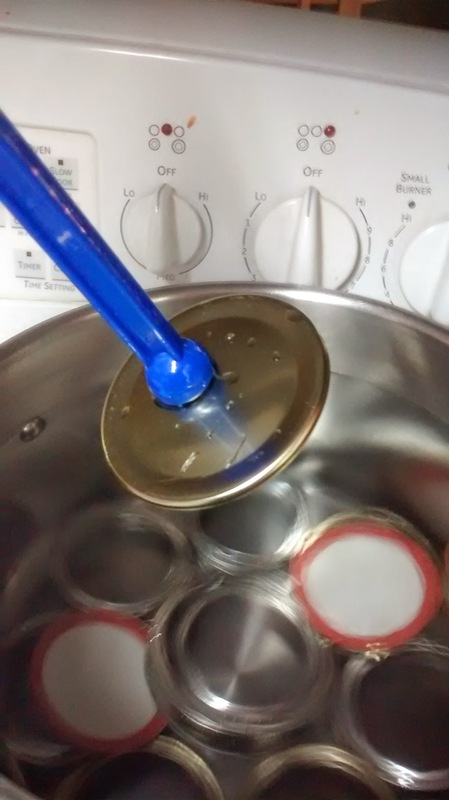 How to water bath can in your soup pot! PLEASE READ ALL DIRECTIONS BEFORE YOU BEGIN! I am always amazed how many times I hear that someone doesn’t want to make homemade jams/jellies because they don’t have a water bath canner. Here’s how you can in your soup pot! Please read all directions before starting this adventure. 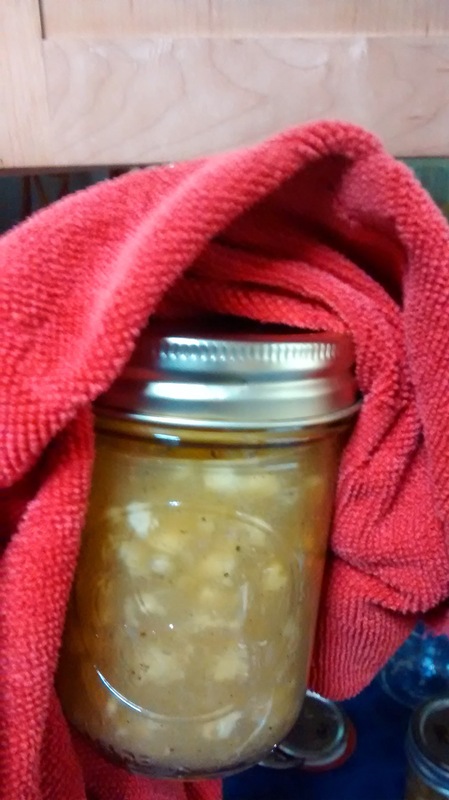 Always follow the recipe you are water bath canning. Always. I answer questions pretty quickly! If you have a question, put it in a comment and I will get with you ASAP. Set rings in bottom of your soup pot. You can use a combination of sizes. Try to get a tight fit. Put jars in pot. Fill pot with water. 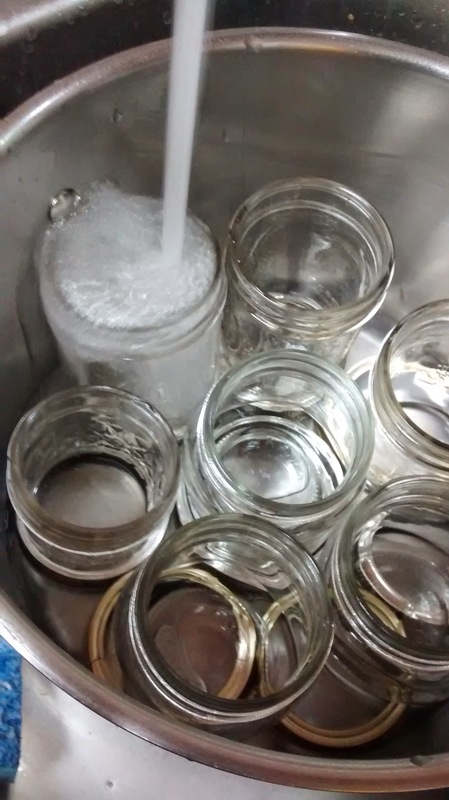 Cover jars with at least 1″ of water. Add lids to pot of water. I like to stick them standing up, between the jars. Add any utensils that will be touching your jam/jelly. 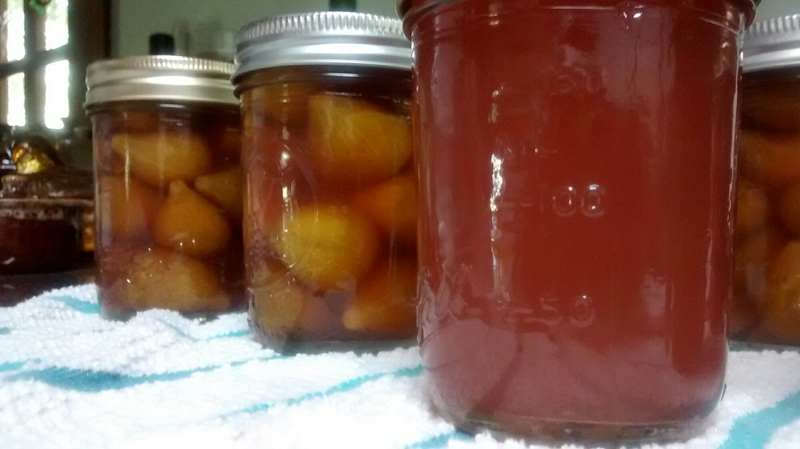 Hopefully you’ve been working on your jam while the jars are being sterilized! Remove jars from the pot once they have been in there for 10 minutes. Leave the lids and utensils. Fill the sterilized jars with your delicious jam. Wipe rip of jars clean. Remove the sterilized lids from the boiling water, one at a time, with your lid wand. 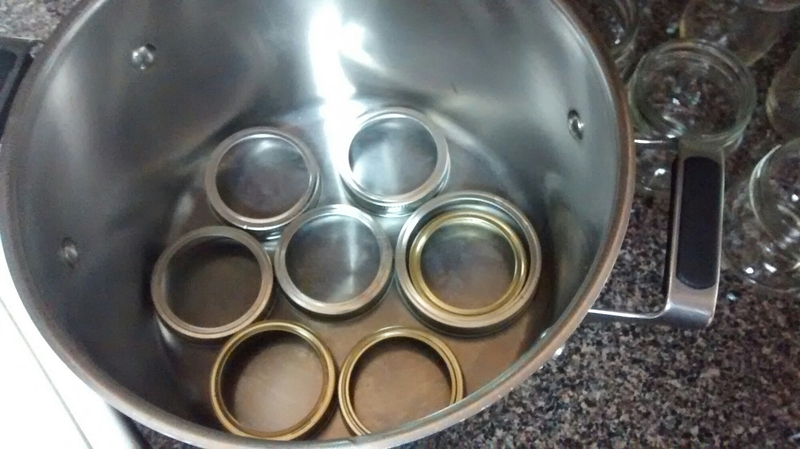 Place sterilized lid onto the jar. Screw down ring until finger tight. 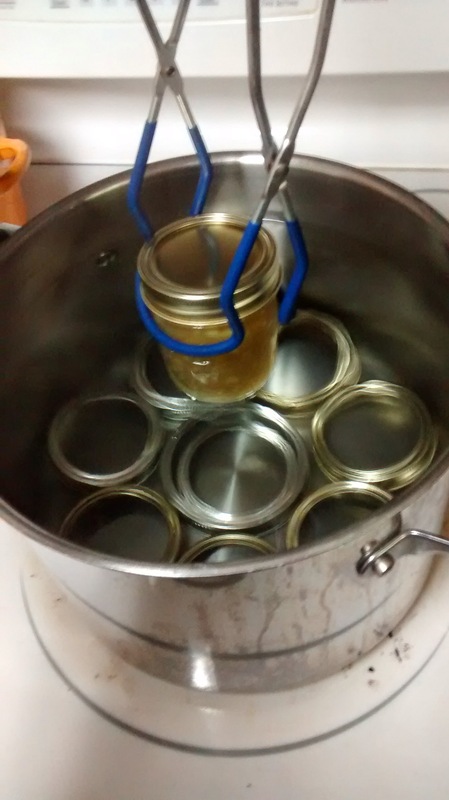 You may need to use a towel to hold the jars while tightening the rings. The jars are hot! They are filled with boiling jam after all! 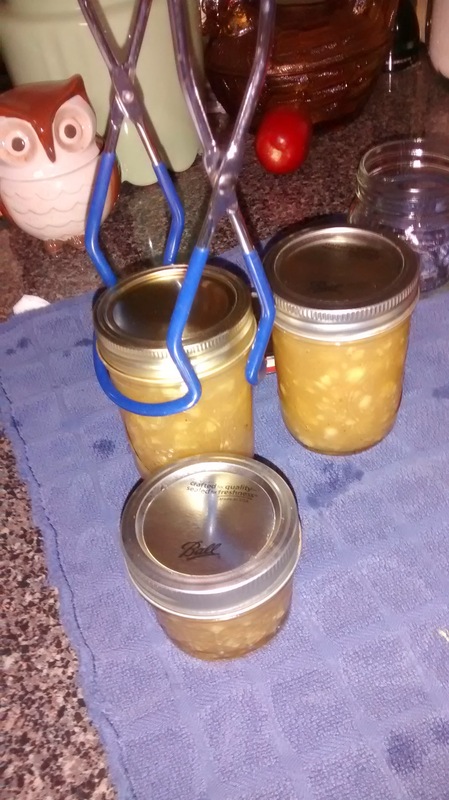 Once all your jars are filled, use your jar lifter to place them back into the boiling water in the soup pot. Once 10 minutes have passed, remove the jars with the jar lifter, and set them on a towel spread on your counter. Leave the jars undisturbed until cool. I leave mine to sit over night. You will hear the lids “ping!” as they seal (one of my favorite sounds!). The next day, check your seals by removing the rings and gently pushing back and forth with your fingers. The “button” on the center of the lid will be concaved inward if sealed. 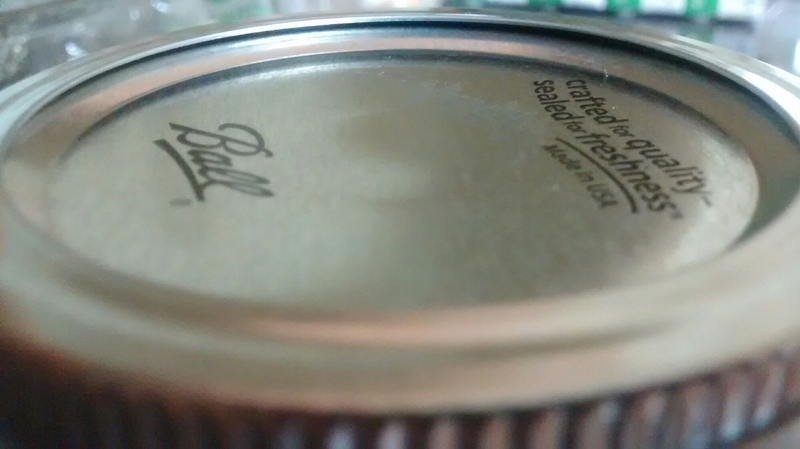 If the lid moves at all or you can push the “button” inward, the jar did not seal. Put that jar in the fridge for immediate use. This is also a good time to use a moist wash rag to wipe around the rim of the jar where the ring sits, and the rest of the jar as well. Sometimes the contents of the jar seep out when sealing. Yay! You water bath canned! Place all ingredients in pot. 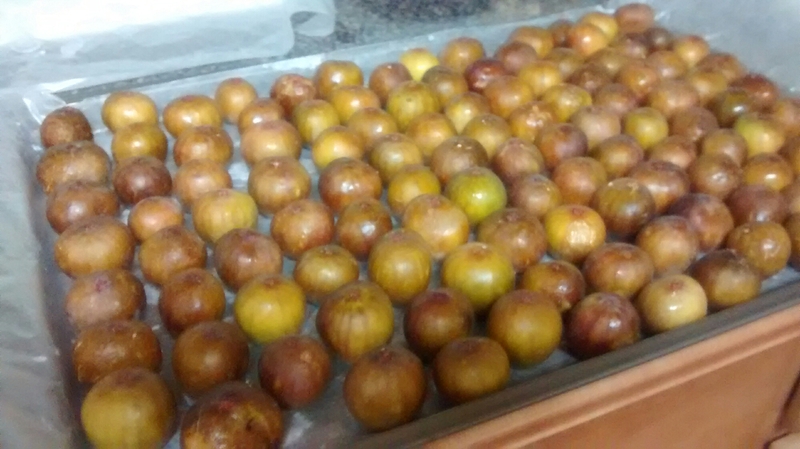 Once figs start to get soft, press then remove lemon slices. 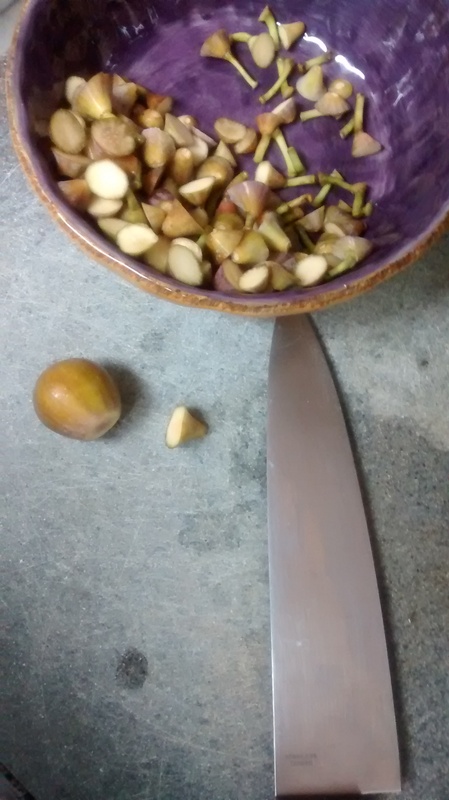 Mash figs with a potato masher. 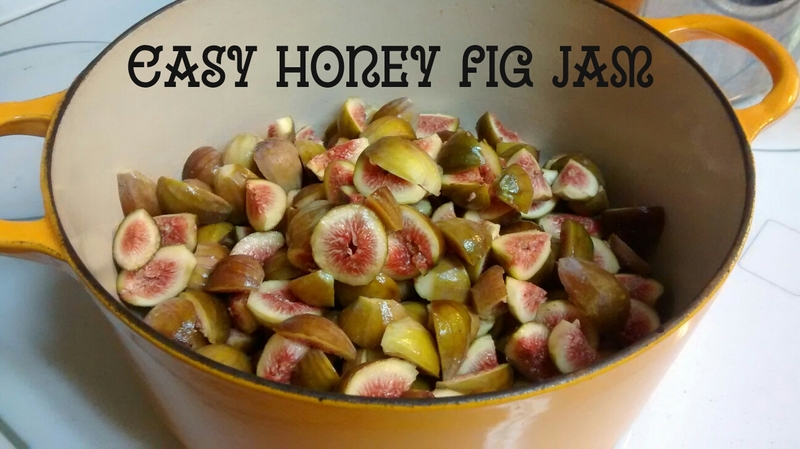 Mix constantly (you don’t want to burn the honey). At this point you can either continue to mash with the potato masher, or you can use a emersion blender (That’s what I did). Stir constantly for 15-20 minutes. 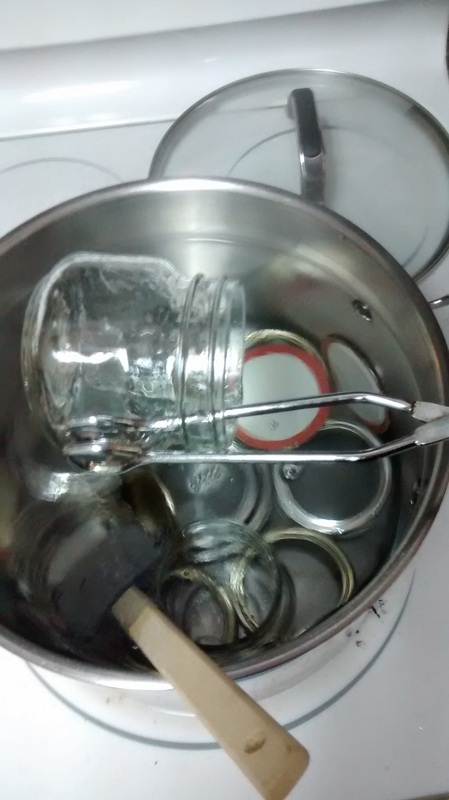 If the jam is set, ladle into sterilized jars. If you aren’t happy with the set, continue to simmer until the test set is correct. Water bath can for 10 minutes. Don’t. 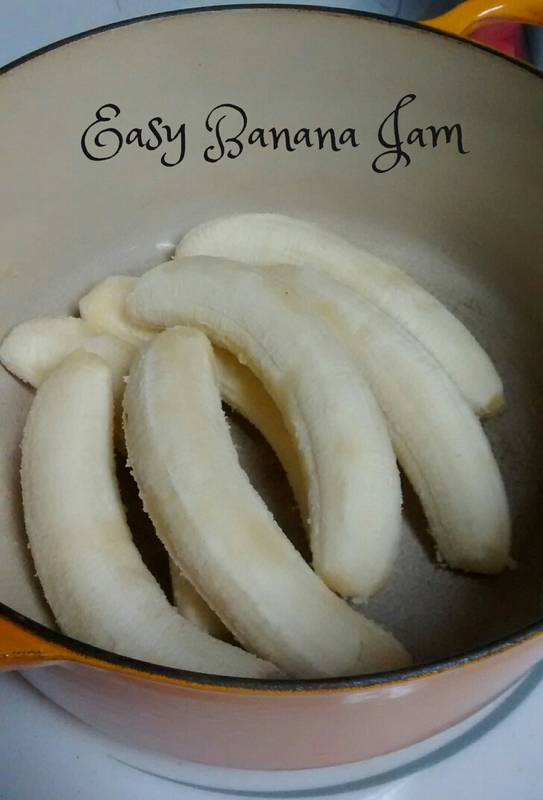 Let your ripe bananas go to waste. 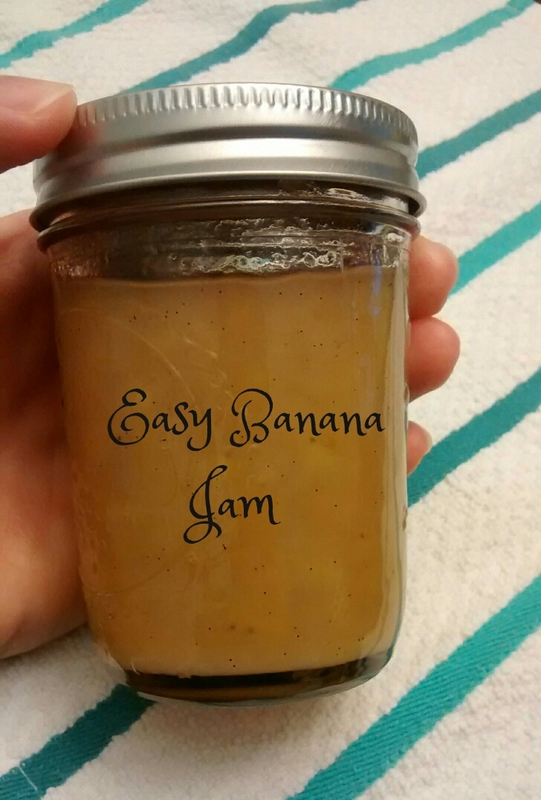 Use this jam with your peanut butter sandwiches, on top of ice cream or in banana bread recipes (adjusting the sugar requirements). Citric acid (1 tspn per cup of mashed banana) or 2 tspns of lemon juice. In a large pot add bananas and sugar. 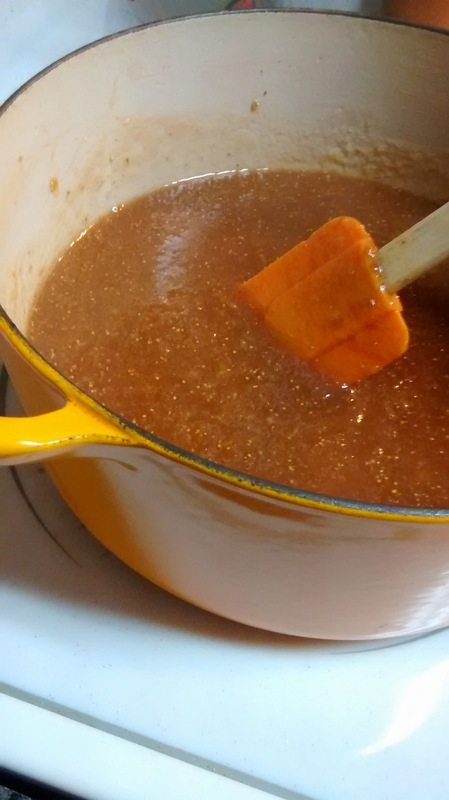 Stir frequently until jam is desired consistency. The first post I wrote for this blog was “Do what you can with what you have (where you are)“. That is my favorite quote and I live by it on a daily basis. The post also brought me my first comment “What is a homesteader?”. I have seen many discussions on what the difference is between a farmer, a gardener, and a homesteader. But it really comes down to this, What are your goals for your property, home and life? I believe that a farmer produces quantities of fruits and vegetables for the purpose of selling. A gardener produces fruits and vegetables to eat and give to friends and family (I love gardeners!). A homesteader does everything possible to live a more self-sufficient life. That includes gardening, caring for livestock, making their own medicines, baking their own bread, spinning yarn from the wool they sheared from their own sheep, building it, cooking it, canning it, growing it, culling it, processing it, fermenting it …………….I think you get the picture. Most people aren’t lucky enough to be born into a completely self-sufficient homestead. It takes time to build it up. It is a never-ending process. There is always something else that can be done. There is always room for improvement. Whats important is that every day, you make the most of what you have. This is our first summer on our homestead. I had so many plans that I wanted to accomplish (summers not over yet!). But things happen. Life happens. Priorities shift. I wanted a huge fantastic garden this summer. Oh, I was gonna can all those beautiful tomatoes and peppers. My pantry would be filled with rows of beautiful glass jars, filled with delicious food. Oh, and I would have to build that pantry to keep it all in too. Well, the garden has been a failure so far. Improper placement of the beds meant not enough sun for the plants. The soil isn’t supporting their growth. Over all just a big FAIL! But I’m ok with it! The plan changed. Next year will be the big harvest. This year I will focus on our actual home. There is still a lot to do. Lord knows we all have those projects sitting on the back burner. I want to get as much done as possible this year. Because next year I will be too busy gardening and canning. Do not interrupt me! The point of my mini-rant is this; you always have to make the most of your situation when you are a homesteader. The goal is to be as self-sufficient as possible. A living factory of necessities and natural bounty. You don’t have to have it all at once because the most important aspect of being a homesteader is your DESIRE to do better.